Full name is Gorkys Gustavo Hernández...Pronounced "GOHR-keys". Married to Ariadna...Has 3 children: Eva, Evans, and Ethan. Grew up in Maturin, VZ. Spent the entire season with the Giants, playing a career-high 142 games. Ranked 2nd on the team in games and steals (8). Tied for 2nd on the team with a career-high 15 HR after hitting just 5 in his 232 ML games prior to 2018. Made 74 starts in CF, 25 in LF, and 3 in RF. Hit .325 (25-for-77) with a .953 OPS in May...From 5/23-28, went 11-for-22 (.500) with 2 2B, 3B, 2 HR. Hit 2 lead-off HR (5/18 vs. COL and 7/2 at COL), both off Kyle Freeland. Went 17-for-40 (.425) with 4 HR during a 10-game hit streak from 5/17-28. On 7/30 at SD, hit a game-winning solo HR in the 12th inning. Recorded a walk-off single on 8/28 vs. ARI, snapping a scoreless tie in the 9th inning. On 9/25 vs. SD, led off the 12th inning with a triple and came around to score the winning run on a Madison Bumgarner pinch-hit single. Appeared in 128 games with San Francisco, batting .255 (79-for-310)...Made his first-ever Opening Day roster... started 78 games (39 in CF, 31 in LF, eight in RF)...Hit .289 (57-for-197) in his last 75 games, raising his average by 60 points from .195 to his final .255 mark...Dealt with a sore wrist in the final weeks of Sept...had surgery on his hamate bone following the season. Appeared in 26 games (13 starts) with San Francisco and hit .259 after having his contract purchased Aug. 23 from triple-A Sacramento. Hit .302 with 22 doubles, eight homers and 51 RBI in 116 games for triple-A Sacramento...was named a mid-season PCL All-Star for his efforts at the break. Was named the River Cats' Most Valuable Player and Defensive Player of the Year as the 2016 PCL All-Star provided a valuable bat as well as exceptional defense in center field. Spent most of the season with triple-A Indianapolis (AAA) but also appeared in eight games with the Pirates, going 0-for-5. Was on the big league DL from July 19-30 with left shoulder discomfort. Hit .288 with six home runs and 42 RBI in 104 games with Indianapolis. Attended spring training as a non-roster invitee with Kansas City...began the season with Omaha (Royals' AAA) before being acquired by the White Sox on April 10...was assigned to triple-A Charlotte. Was released June 11 by Chicago and signed with the Tigres de Quintana Roo of Mexican League. Played winter ball in Venezuela and hit .261 with 20 RBI in 40 games with the Caribes de Anzoategui. Opened the season with New Orleans (AAA) in Miami's system, but was traded to Kansas City on July 22...played final 34 games with Omaha (AAA)...Ranked fifth in the Pacific Coast League in steals (25)...it marked his highest total since 2007, when he paced the Midwest League with 54 thefts...batted .304 (42 for-138) and reached base at a .342 clip when leading off an inning. Began season with Pittsburgh prior to coming to Miami in trade deadline deal on July 31...Opened season with Triple-A Indianapolis and earned promotion to Pittsburgh on May 18...Prior to promotion, was batting .266 (33-for-124) with 21 runs scored, five doubles, two home runs and 14 RBIs in 37 games...Only two homers with Indianapolis came on back-to-back days, May 8-9 vs. Lehigh Valley...Made Major League debut on May 21 vs. Mets, going 0-for-1 as pinch-hitter...First career start was against Mets on May 23 in left field (0-for-3, BB)...Recorded just two hits in 24 at-bats with Pittsburgh in 25 games...Recorded first Major League hit and RBI on May 27 against Cubs with a two-run single in bottom of sixth inning...Made Marlins debut on Aug. 1 at Atlanta as a defensive replacement, and went0-for-1 with a strikeout...Recorded a season-long hitting streak of five games (.333/7-for-21) from Sept. 17-22...Connected for first ML home run on Sept. 4 vs. Milwaukee, a fifth-inning, two-run shot off Shaun Marcum...Homered again in next appearance, Sept. 8 at Washington, first career leadoff HR and second of season by a Marlin (also Jose Reyes, July 20 at Pittsburgh)...Third and final home run came on Oct. 2 vs. Mets...Tallied season-best three hits on Sept. 17 vs. Atlanta...Equaled total in 3-for-3 effort on Oct. 1 vs. Mets...Won Venezuelan Winter League batting title after batting .367 (83-for-226) with 13 doubles, two triples, two home runs and 23 RBIs in 61 games...Also led league with 15 stolen bases and ranked second with .436 on-base percentage. Spent entire season with Triple-A Indianapolis...Shared league lead in triples...Tied his minor league career high indoubles...Made all but three of his 126 defensive appearances in center field; made two in right field (4/15 and 4/20) and one in left field(4/8)...Hit .337 (35-for-104) with 11 doubles and 10 RBI in 29 games during the month of June, which included a season-high nine-gamehitting streak from 6/13-22 (15-for-32, .469)...Had season-high four hits on 6/29 at Syracuse...Hit lone home run on 7/3 at Toledo...Hadback-to-back three-hit games on 7/21-22 and recorded a season-high four RBI on 7/22 vs. Rochester...Played winter ball in Venezuelaand hit .198 (32-for-162) with nine doubles, two home runs, 14 RBI and nine stolen bases in 59 games with Caribes de Anzoategui. Gorkys Gustavo Hernandez (first name pronounced 'GORE-keys")...Entered the 2010 season ranked by BaseballAmerica as Pittsburgh's 10th-best prospect...Also recognized by Baseball America as the "Best Defensive Outfielder" in the Pirates minorleague system the past two seasons...Was rated by same publication as Atlanta's fifth-best prospect prior to the 2008 season and asthe "Fastest Baserunner" in the Atlanta farm system following the 2008 season. Was ranked by Baseball America as Atlanta'sfourth-best prospect and the 62nd-best prospect in all of baseball prior tothe season...Hit .282 (157-for-556) with 25 doubles, four triples, threehome runs, 50 RBI and 19 stolen bases in minor league career-high 138games between Mississippi (Braves' AA) and Double-A Altoona...Alsoestablished career highs in hits and at bats...Tied career highs in doubles and RBI...Began season with Mississippi...Had four hits and two stolen bases insixth game on 4/14 at Huntsville...Reached base safely in 24 consecutive games from 4/13 thru 5/9...Produced a 10-game hitting streak from 4/18-28(13-for-41, .317)...Tripled in back-to-back games on 4/20-21...Hit safely in eight straight games from 5/12-19, going 18-for-35 (.514) with four multi-hitgames...Hit safely in his last five games with Mississippi...Was acquired by Pittsburgh as part of a four-player deal on 6/3 and was assigned to Altoona...Hitsafely in his first two games with the Curve, but then went 2-for-27 in his next eight games and was hitting .111 (4-for-36) after his first 10 games withAltoona...Went 17-for-41 (.415) in his next 12 games to raise average to .273 following the action on 6/28...Hit first home run on 7/2 at Reading...Hitsafely in nine of his 10 games from 7/16-26, going 15-for-40 (.375) and raising average from .237 to .268...Went hitless in his next six games (22 atbats) before hitting safely in seven straight (12-for-32, .375)...Hit third and final home run on 8/20 at Harrisburg...Finished season with an 11-game hittingstreak (14-for-53, .264) and hit safely in 19 of his last 20 games (27-for-89, .303)...Recorded eight outfield assists while playing 84 games in center fieldfor Altoona...Participated in the Venezuelan Winter League and batted .245 (25-for-102) with a homer and nine RBI in 33 games with Caribes de Anzoategui. Spent entire season with Myrtle Beach (Braves' A)...Established career high in triples and tied career high in home runs...Participated in theMLB Futures Game at Yankee Stadium and went 0-for-4 in the contest...Reached base safely in 30 of his first 32 games with Myrtle Beach thru 6/13...Hada 15-game hitting streak from 4/21 thru 6/13 (22-for-70, .314)...Hit first home run on 4/17 and then homered again two days later...Batted .309 withfive triples and five stolen bases in 19 games in April and was named the club's Player-of-the-Month...Missed a little more than a month of action (4/24thru 5/28) due to a strained right hamstring...Had season-high four hits, including a home run, on 6/17 at Salem...Hit .318 (34-for-107) with 12 RBI in24 games during the month of June...Hit .320 (56-for-175) prior to the Carolina League All-Star Game and .221 (51-for-231) after the break...Hit final homerun on 7/31...Had season-high five RBI on 8/8 at Lynchburg...Played with Caribes during the Venezuelan Winter League and batted .216 (19-for-88) witha homer, 11 RBI and 15 runs scored in 47 games. Spent last season in Detroit organization with West Michigan...Was named Midwest League Most Valuable Player and was namedto league's mid-season and post-season All-Star teams...Led circuit in stolen bases...Also ranked second in the league in runs scoredand sixth in batting...Participated in the MLB Futures Game in San Francisco; went 0-for-1 with a walk while pinch hitting and playingcenter field...Established minor league career high in doubles and RBI...Swiped two bases in a game 11 times...Hit .333 (23-for-69) with10 RBI and 11 runs scored in 18 games during the month of April...Hit first home run on 5/14...Reached base safely in 11 straightgames from 6/1-12, which included a seven-game hitting streak from 6/8-12 (11-for-30, .367)...Tripled, homered and knocked in fourruns on 7/4 at Fort Worth...Homered again the following game...Hit safely in season-high 10 straight games from 8/2-13 (15-for-44,.341)...Fell a homer shy of hitting for the cycle while collecting season-high four hits on 8/16...Batted .312 (34-for-109) and led MidwestLeague with 29 runs scored during the month of August...Played winter ball in Venezuela and batted .157 (8-for-51) with two RBI, fourstolen bases and six runs scored in 27 games with Caribes. Spent first season playing in the United States with the Gulf Coast League Tigers...Led the league in hitting, at bats, runs andhits...Ranked second in total bases (95) and stolen bases...Was named to the GCL post-season All-Star team...Began season with aseven-game hitting streak (11-for-26, .423) and reached base safely in each of his first 14 games thru 7/6...Produced a .429 battingaverage, a .589 slugging percentage and a 1.030 OPS in his first 14 games, going 24-for-56 with three doubles, two home runs and twowalks...Batted .324 (33-for-102) and scored 22 runs in 25 games during the month of July...Homered twice and hit .304 (21-for-69) in16 games in August. Was signed by Tigers as a non-drafted free agent on 4/30...Played entire season with Detroit's entry in the Dominican SummerLeague...Led club in runs scored...Ranked third in hits and third in total bases (78). 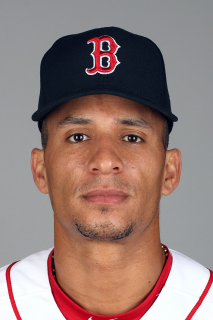 December 31, 2018 CF Gorkys Hernandez assigned to Pawtucket Red Sox. December 13, 2018 Boston Red Sox signed free agent CF Gorkys Hernandez to a minor league contract and invited him to spring training. November 30, 2018 CF Gorkys Hernandez elected free agency. August 23, 2016 San Francisco Giants selected the contract of LF Gorkys Hernandez from Sacramento River Cats. March 30, 2016 OF Gorkys Hernandez assigned to Sacramento River Cats. October 23, 2015 San Francisco Giants signed free agent CF Gorkys Hernandez to a minor league contract and invited him to spring training. October 14, 2015 CF Gorkys Hernandez elected free agency. September 29, 2015 OF Gorkys Hernandez assigned to Caribes de Anzoategui. July 30, 2015 Pittsburgh Pirates sent CF Gorkys Hernandez outright to Indianapolis Indians. July 22, 2015 Pittsburgh Pirates sent CF Gorkys Hernandez on a rehab assignment to Indianapolis Indians. July 19, 2015 Pittsburgh Pirates placed CF Gorkys Hernandez on the 15-day disabled list retroactive to July 13, 2015. Left shoulder discomfort. June 28, 2015 Pittsburgh Pirates selected the contract of CF Gorkys Hernandez from Indianapolis Indians. January 30, 2015 OF Gorkys Hernandez assigned to Venezuela. December 1, 2014 Pittsburgh Pirates signed free agent CF Gorkys Hernandez to a minor league contract and invited him to spring training. October 9, 2014 CF Gorkys Hernandez assigned to Caribes de Anzoategui. July 15, 2014 Tigres de Quintana Roo signed free agent CF Gorkys Hernandez. June 11, 2014 Charlotte Knights released CF Gorkys Hernandez. April 11, 2014 CF Gorkys Hernandez assigned to Charlotte Knights. April 10, 2014 Kansas City Royals traded CF Gorkys Hernandez to Chicago White Sox for cash. March 28, 2014 CF Gorkys Hernandez assigned to Omaha Storm Chasers. November 18, 2013 Kansas City Royals signed free agent Gorkys Hernandez. November 4, 2013 CF Gorkys Hernandez elected free agency. October 9, 2013 CF Gorkys Hernandez assigned to Caribes de Anzoategui. September 10, 2013 CF Gorkys Hernandez assigned to Northwest Arkansas Naturals from Omaha Storm Chasers. July 21, 2013 New Orleans Zephyrs traded CF Gorkys Hernandez to Omaha Storm Chasers. April 5, 2013 Gorkys Hernandez roster status changed by New Orleans Zephyrs. April 3, 2013 Miami Marlins sent CF Gorkys Hernandez outright to New Orleans Zephyrs. March 31, 2013 Miami Marlins designated Gorkys Hernandez for assignment. August 1, 2012 Miami Marlins activated CF Gorkys Hernandez. July 31, 2012 Miami Marlins traded 1B Gaby Sanchez and RHP Kyle Kaminska to Pittsburgh Pirates for CF Gorkys Hernandez. July 26, 2012 Pittsburgh Pirates optioned CF Gorkys Hernandez to Indianapolis Indians. July 3, 2012 Pittsburgh Pirates recalled Gorkys Hernandez from Indianapolis Indians. June 5, 2012 Pittsburgh Pirates optioned Gorkys Hernandez to Indianapolis Indians. May 18, 2012 Pittsburgh Pirates recalled Gorkys Hernandez from Indianapolis Indians. March 18, 2012 Pittsburgh Pirates optioned Gorkys Hernandez to Indianapolis Indians. October 6, 2011 Gorkys Hernandez roster status changed by Pittsburgh Pirates. March 14, 2011 Pittsburgh Pirates optioned CF Gorkys Hernandez to Indianapolis Indians. October 13, 2010 Gorkys Hernandez roster status changed by Pittsburgh Pirates. October 4, 2010 CF Gorkys Hernandez assigned to Caribes de Anzoategui. September 19, 2010 Gorkys Hernandez roster status changed by Altoona Curve. July 26, 2010 Altoona Curve placed CF Gorkys Hernandez on the 7-day disabled list. Fractured right ring finger. March 14, 2010 Pittsburgh Pirates optioned CF Gorkys Hernandez to Altoona Curve. November 20, 2009 Pittsburgh Pirates selected the contract of Gorkys Hernandez from Altoona Curve. October 9, 2009 OF Gorkys Hernandez assigned to Caribes de Anzoategui. June 5, 2009 Gorkys Hernandez roster status changed by Altoona Curve. June 3, 2009 Mississippi Braves traded CF Gorkys Hernandez to Altoona Curve.